NPSites strive to make their mark wherever they go. They are recognized by their cheerful demeanour, irrepressible spirit, passionate drive and sterling personalities. They are what their education has made them. 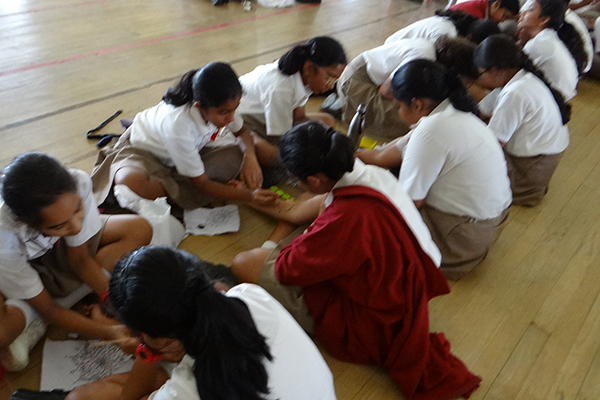 The school acknowledges the significance of constructive co-scholastic programme for its scholars. Hence, children are offered a whole gamut of skills to choose from. SCHOOL CLUBS – Clubs enable students to foster their special talents. Here they gain confidence and learn to manage themselves in a stress free atmosphere. Club period is the time when they engage, interact and develop socially. The membership on offer for different clubs is: Cyber, Environment, Literary, Math, MUN, Quiz, Science and Theatre. 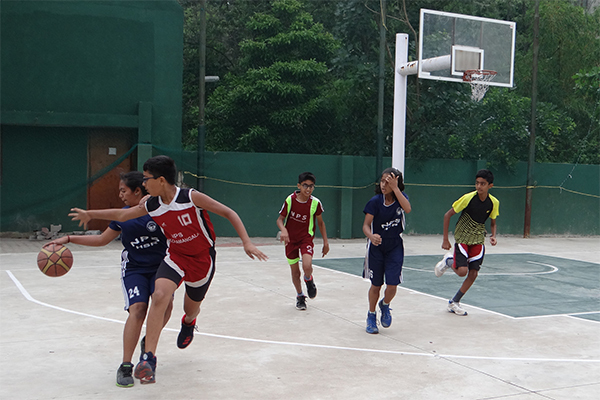 Sports is one of the most sought after co-curricular and after school activity among students at NPS. The enthusiastic players choose from an array of sports and physical activities like football, throw-ball, volleyball, basketball, Tae-kwon-do, badminton, lawn tennis, table tennis, cricket, yoga and athletics. Their steadily zealous involvement shows positive results in their fit body, emotionally balanced mind, belief in persistence, patience and practice and enhanced values of cooperation and teamwork. Through Inter-House matches and umpteen inter-school matches, Annual Athletic Meet, Triennial Sports Day, and everyday sports periods, our budding sportspersons shine, adding to their happiness quotient. Art is the language of the soul. It is that amazing medium through which the innate creativity manifests in a fun filled way. Students from the elementary to the higher secondary, revel in dipping their fingers in colours, making alluring patterns and assembling sundry materials in innovative ways. They are adept at strumming the guitar, swaying to the beats of the band, drenching in the thrills of serenading chorus, dancing to lilting music, mono acting, miming, staging plays and much more. Our artists never cease to sweep their audience off their feet. 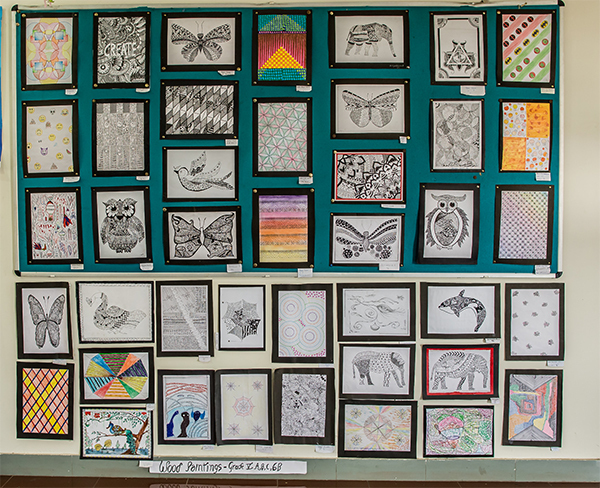 Art & Dance periods, Grade Assemblies, Inter-House Contests, Art Exhibitions, Music Shows and Various Inter- school events are some of the platforms used by them. We understand that schools are the productive grounds which yield a crop of socially, morally and environmentally conscious citizens. To meet this goal, our students periodically conduct many programs and projects on social welfare and environment consciousness, hold talks on subjects of topical importance- solely conceived and presented by them, visit orphanages and also initiate donation drives. Apart from this we have counselling sessions, workshops by experts, trips to institutions/places of importance - the list is inexhaustible- to bring up a generation that is ready to create a beautiful world they have envisioned.